I'd like to get more camellias, but they're just so expensive! The larger ones anyway... I think your unknown pink may be 'Winter's Star'. In Zone 5, I don't think camelias are an option. However, I do admire yours. And the bees really like them too! I have six Camellias in my garden, all babies. Bonanza, Mine-No-Yuki, Yuletide, April Tryst, and two Professor Sargent. I love them. Hoping to add another two or ten. 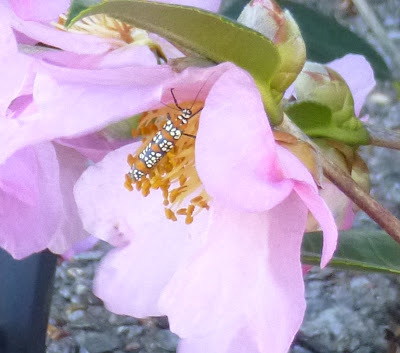 ;-) I do have a small infestation of Camellia scale on two of them. 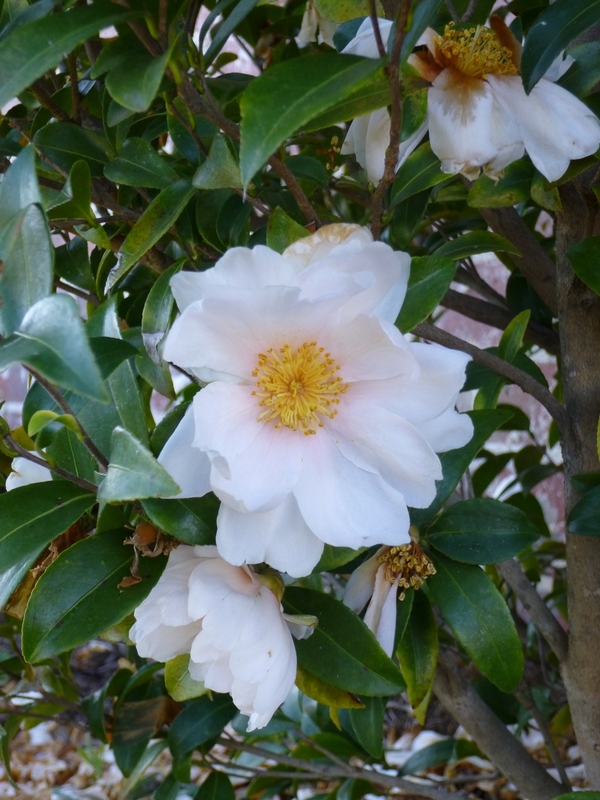 Camellias are really grand shrubs, look forward to mine being big and full of blooms. 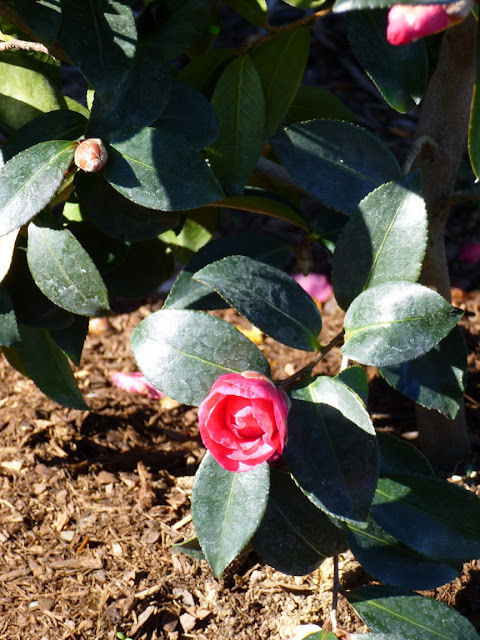 Beautiful camellias! I have several of them, and try to find new spots for a new one or two every year. Yours are beautiful. I don't understand why camellias are not more widely grown. I suppose because they are not generally available in the spring, when most people go to the garden centers. 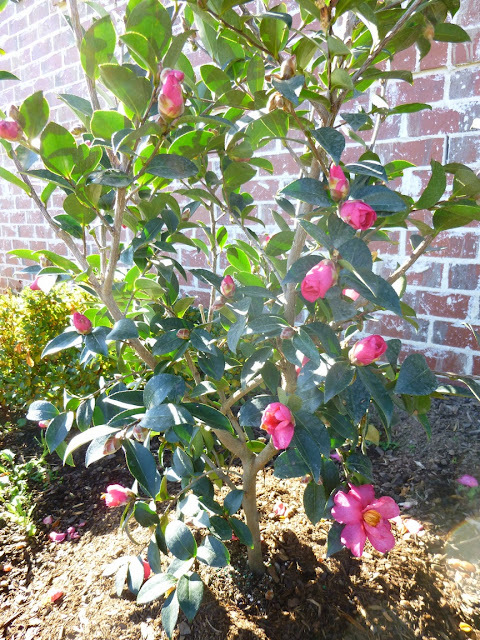 Randy - I think the camellias were some of the more expensive plants I purchased this fall. You're right about that. I justified the purchase with the notion that at least I was saving money by landscaping my front foundation myself rather than hiring someone to do it. Jason - As Lee has shown, camellias may grow further north than expected, but you're right that Zone 5 is probably a little *too* far north. On the other hand, maybe breeders will push the cold hardiness even further. 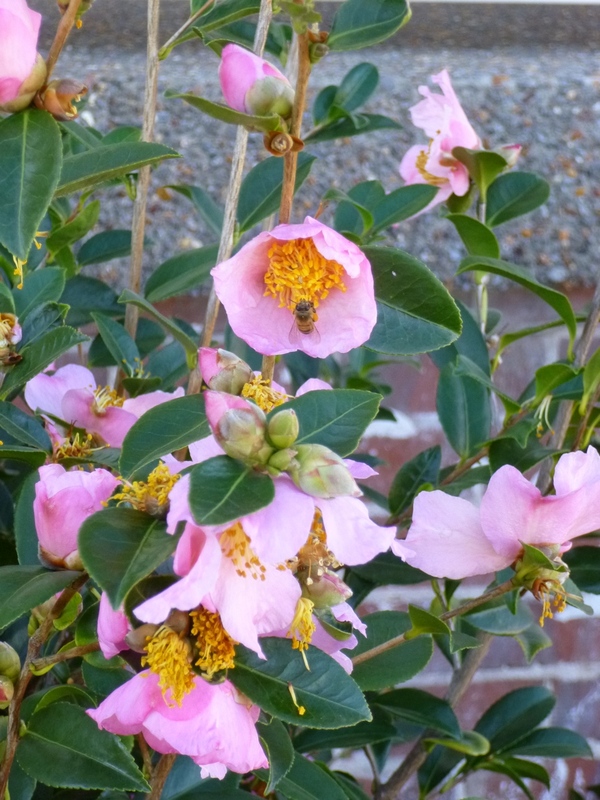 Lee - Do let me know if you decide to move forward with that camellia patch! And yes, I admire your experimentation and boundary-testing in the garden. Janet - A camellia-lover after my own heart! 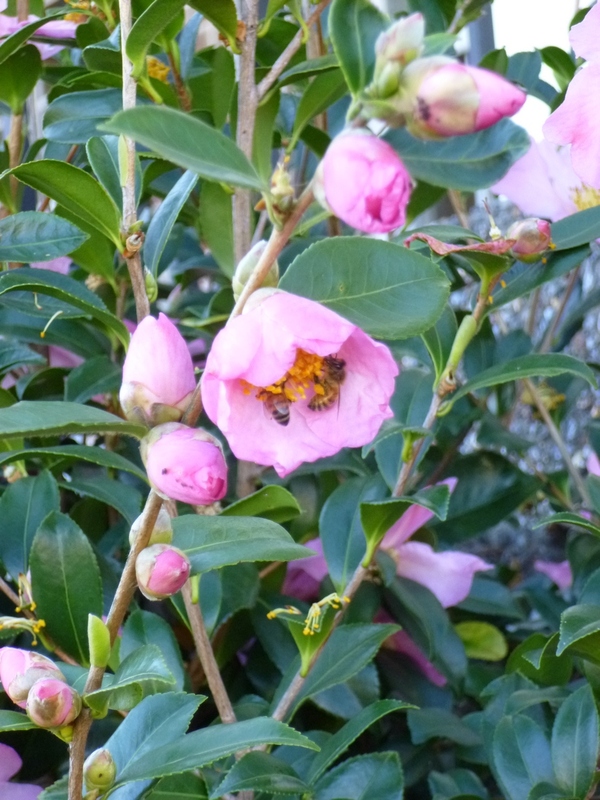 Do you spray your camellias to treat the scale infestation or do you let nature take its course? Aaron, so far I have let nature take its course. I do amend my soil with worm castings which have some interesting possible benefits in fighting pests. camellias are now blooming in my neighborhood in new york city. never saw them before. Thanks for the heads up, Edwards. I used to live in NYC myself and don't recall ever seeing camellias there either. Where have you seen them blooming? In a park? Or one of the botanical gardens? Good to know that perhaps they are becoming more widely planted! That's definitely a flowering plant I'd like in my garden. I just have to wonder how hard or easy it is to maintain though.